One year ago we reviewed the newly released Logitech MX Ergo and absolutely loved it. Today we’re taking a look back at the wireless trackball and how our opinion of it (and the product itself) has held up over a year of use. The Ergo’s claim to fame, above all else, was that it represented an update to Logitech’s long-running line of trackball mice (a line that stretches well back into the 1990s). Fans of their trackballs hadn’t had much to sink their teeth into for ages (the wireless predecessor to the Ergo was the M570 from 2010) and they—myself included—were pretty excited about the Ergo’s release. If you revisit our full review here, from January of 2018, you’ll see we were very pleased with the MX Ergo on multiple fronts. It boasts a very pleasant-in-the-hand ergonomic shape that echoes (and improves upon) past incarnations of the TrackMan-style trackball mice. 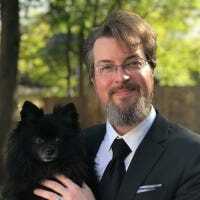 You can use Logitech’s Unifying Reciever dongle or Bluetooth to connect to your computer, or you can use both to connect to two different computers (and switch between them with the click of a button on the mouse). The build quality is fantastic. In fact, after extended use, we can safely say that even the very minor complaints we had about the mouse aren’t complaints we’d lodge anymore. We pointed out that the mouse was a bit heavy (to be expected from a full-size trackball mouse with a metal base plate and a large battery) but after a year of tossing it in a small laptop bag and taking it all over the country, we can say that it’s a fair trade-off. Sure it’s not as light as a tiny travel mouse but it’s also way more comfortable (especially for dedicated trackball users who abhor using tiny travel mice on the road). The second point very-minor complaint we lodged was that it would require more charging than M750 (which was legendary lasting 1-2 years, or longer, off a single AA battery). We’re happy to report that the MX Ergo has pretty great battery life. Maybe not two years of daily use without charging, pretty great, but pretty great none the less. In fact, the Ergo has seen use week-after-week as our goto laptop mouse without a single charge. We couldn’t tell you exactly how that’s worked out in terms of minutes of use over the last year, but it’s sure been nice not worrying about charging it—and when we do have to charge it, it’s just a few hours of recharging for another 6-12 months of use. On top of all that, despite taking no special care with the mouse—we meant to buy a travel case for it, but never did—and tossing it into our laptop bag with a bunch of laptop-bag-type-junk, it still looks brand new despite the benign neglect. 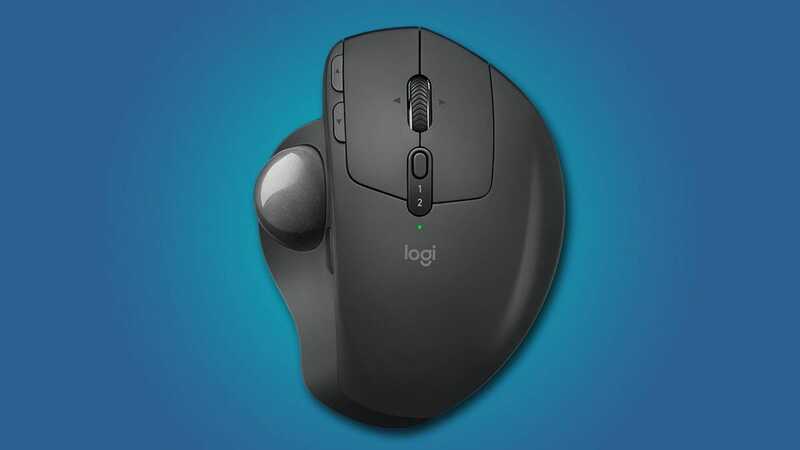 With all that in mind, one year later, we not only continue to recommend the Logitech MX Ergo trackball mouse but to do so even more strongly than we did upon completion of our initial review. If you have an Amazon Echo in your home and want to take your voice commands to the next level, installing some in-wall light switches will let you control your lights using your voice. Here are the best options that work with your Echo.